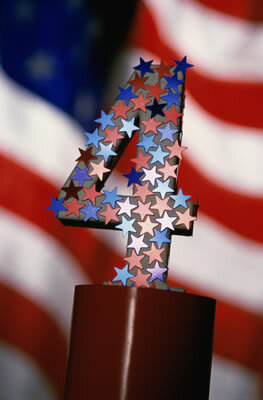 The office will be closed for the holiday July 4 and July 5, 2012. Thank you, thank you for all the wonderful gifts, prayers, meals, and support throughout this pregnancy and birth. I truly appreciate all the kind words. Thanks for your patience, patients! We have transitioned to new software program in our office, as of June 1st. We appreciate your patience as we adjust to the new changes. Don't miss out! During the summer months of June, July & August, we will be rewarding our patients who make a referral with a FREE ice cream cone from BJ Velvet Freeze. Spread the word about ACWC! His mom (Dr. Candice) is doing great and is back to business as usual! Do you suffer from chronic inflammation? Could you benefit from anti-inflammatory effects from herbs to help manage symptoms from such causes as trauma, surgery, swelling, redness, acute arthritis pain, ovarian cysts, sinus infections, etc.? If so, Total Inflam or Lyso-Lyph-Forte might be just what you need! With over half a dozen natural substances known for their anti-inflammatory properties, many doctors report that Total Inflam is great for chronic inflammation. Ingredients include: Ginger, an herb known mostly for its therapeutic effect in nausea, but also has powerful abilities to combat inflammation, with these anti-inflammatory effects well documented; Turmeric, a root belonging to the ginger family; Milk thistle, which supports liver function and detoxification, crucial for decreasing inflammation; Boswellia serrata, which is reported to have strong analgesic (pain-relieving) effects, along with anti-inflammatory and antiarthritic activity; Bioflavonoids are plant nutrients with healthful properties, which include inhibiting the inflammatory process of cells; Quercetin, which is a powerful bioflavonoid and antioxidant that appears indicated in virtually all inflammatory and allergic conditions; and Lipoic acid, an excellent antioxidant that also binds heavy metals and toxins, thereby removing many of the substances that can cause and/or aggravate inflammation. A highly potent formula of specially prepared enzymes to support processes that clear inflammatory debris from the body and supports arterial circulation. Especially helpful at any site of inflammation, swelling, redness, acute arthritis pain, sinus infections, ruptured/bulging discs, food allergies, etc. With such an array of potent ingredients as Pancreatin Protease, Chymotrypsin (Trypsin), Bromelain, Papain, Lipase, Amylase, Rutin, Thymus, Zinc and Parotid, these proteolytic enzymes can be very helpful in various cases, from food reactions, to ruptured discs, to endometriosis, to shin splints, to kidney stones to many more ailments! On Sale for the month of July: Total Inflam and Lyso-Lyph-Forte 10% off! Aching from those summer sports and keeping up with gardening/yard work? Summer is a great time for a massage! Come on in and find relief and relaxation at the hands of our massage therapists. Kelley is available all month long, and specializes in muscle-specific massage. Ivy will be available after July 9th when she returns from vacation.